Industry research firm Gartner, Inc., estimates that as much as 3% of a company’s revenue is spent on paper, printing, filing and the costs to store and maintain files of information. In addition, the average office worker uses 10,000 sheets of paper a year. That's a lot of resources being spent on something that is slowing your business down and raising costs. Maybe you've considered going paperless in the past, but weren't sure where to begin or felt too overwhelmed by the whole process. It doesn't have to be that way. Going paperless at work is manageable when you break the process down and prioritize how changes will be made. 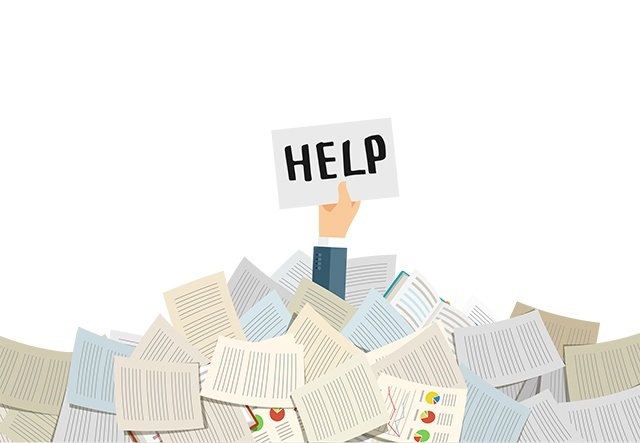 Rather than trying to toss out all the paper in your office all at once, start by evaluating which processes would benefit most from a switch to paperless. Paper can also costs businesses a great deal. Figuring out which paper processes are costing the most may also help with this decision. You don't have to go entirely paperless to make a big difference in consumption and costs. Teams are most likely to actually use paperless options when those options making doing their job faster, easier, or less tedious. So, to start, look for paper processes that slow things down, make things more difficult, or are exceptionally time-consuming. Those should be the first to consider replacing. Do your employees in the field need to stop by the office each morning to manually pick up paperwork for the day, then stop by again at the end of the day to drop it off again? Or perhaps there's paperwork that someone manually retypes into a computer (a pretty tedious task), but that paperwork is often illegible, filled out incorrectly, or missing information. Electronic sharing can cut off an average of 4 days of wait time in processing a document, reports Que Publishing. Collecting data digitally can save time and improve accuracy. Either of these processes would be a great place to make the switch to a paperless process. Once you've identified a process you want to take paperless, the next step is deciding how to accomplish that. It's important to think carefully about the use case you have and figure out which option is the best fit. Is the process you chose one that involved emailing out contracts that then have to be printed, scanned, and emailed back? Maybe you want an electronic signature option. Is the process survey-based, where you're collecting data from customers or prospective customers in person or via the web? Maybe you want a kiosk survey solution or an online survey form option, like Survey Monkey. Is the process a matter of employees filling out paperwork in the field and then making that data digital so the company can actually use it? If that's the case, mobile forms are exactly what you need. Do you need shared documents and your own internal company social media? An intranet might be a good option. The choices don't stop there, though these tools should cover many common use cases. Once you've chosen the process and the solution you'll try, it's time to set up a pilot test. By implementing the new process with a small portion of your team, you gain an opportunity to make sure going paperless really offers the benefits you think it will and to overcome any issues that may come up. This will help you determine if the test gave you the desired outcome or not. A pilot program is also a chance to create paperless advocates, people who will champion the cause because of the value they personally saw from using the new process. And you get a chance to prove to any upper level management that it really can work. A free 14-day trial of our mobile forms data collection solution is a great opportunity to implement a pilot test for a paperless option. Still not convinced that paper is really hurting your business? Make sure you read our Ebook about the actual cost of paper for businesses.